GOVERNMENT TEACHER: NON-GRANTED SCHOOLS NI FEES NI MAHITI MOKALVA BABAT LATEST PARIPATRA. NON-GRANTED SCHOOLS NI FEES NI MAHITI MOKALVA BABAT LATEST PARIPATRA. By visiting SAVANINIKUNJ blog you can stay connected with govt. job updates, sarkari naukari and other private jobs in Gujarat. 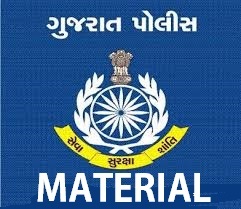 You can also get current affairs, study material for competitive exams in Gujarati andGeneral knowledge (GK in Gujarati). SAVANINIKUNJ recommend you to install SHIKSHAK NI DIARY Android app for this site which is available on Google play store, you can download THIS APK here. By installing this android app, you can get following benefits in your exam preparation. CCC is abbreviation ofCourse on Computer Concept. If you are looking CCC Information for Govt. job then you can visit our CCC Exam study materialhere. You can also install our android app to play / practice CCC Quiz.